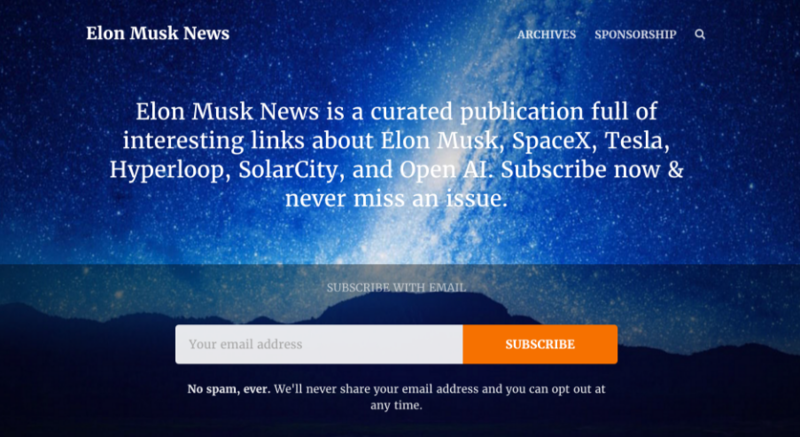 Elon Musk News is an expertly curated newsletter full of interesting links about Elon Musk, SpaceX, Tesla, Hyperloop, SolarCity, and OpenAI. Our subscribers love us because we hand pick the best articles about Elon Musk, and only include the most important pieces of each story. No fluff, only juicy pieces of news about Elon and his awesome companies. 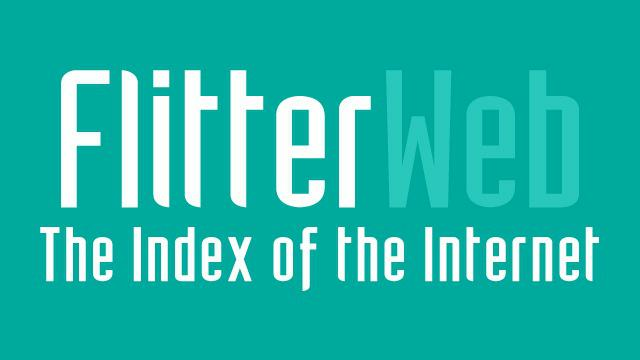 This saves our subscribers time from looking for quality stories about Elon Musk. "The world needs more MUSK! I love my Musk but had no way of staying on top of his news without just refreshing his twitter, so I really appreciate this newsletter. One of the few I'm subscribed to. #TEAMMUSK"